“When birch tree forests are pruned or agricultural cultivations of fruit trees are picked, they are dispersed or burned. I have always been fascinated by these parts of nature, that continue to give off a grand expressive force, more powerful when they are combined with modern, perfect and industrial materials. They become mysterious, always diverse, unique, unrepeatable and somewhat sacred presences. 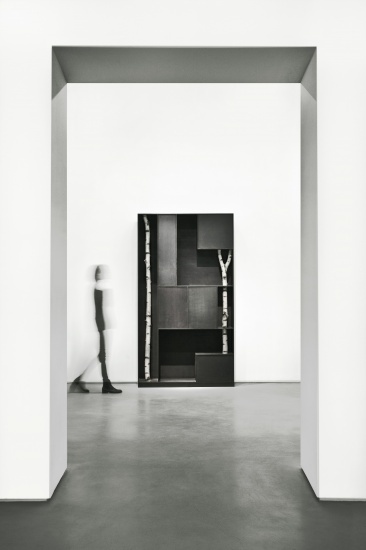 In a short time, Carpenters Workshop Gallery in Paris has already treated us to a regular and rich demonstration of Design Art: in March, Andrea Branzi will be given space to express himself as a free and committed thinker with this new collection « Trees ». of an artist whose personality and preoccupations have remained consistently at the avant-garde of the architecture and design world. design, experimental laboratory, leeway, mass creativity, new organisation… He also knows how to share his battles, he coordinates and curates exhibitions, he regularly exhibits his personal work, publishes manifestos, teaches generations of students and participates in conferences all over the world. 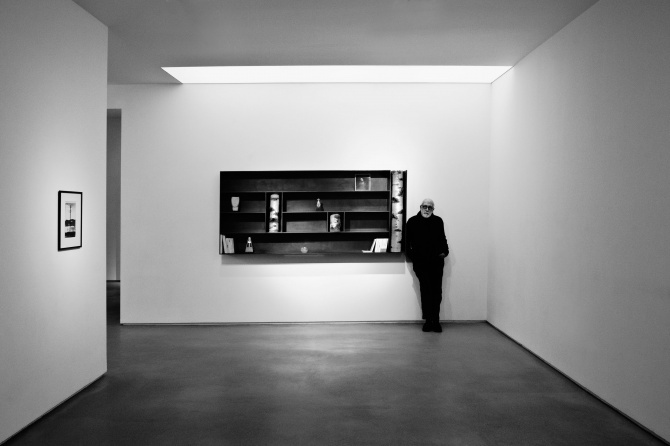 In fact, multiple spaces would be needed to cover all angles of the man: a screening room, an auditorium, a museum and more than a few metres of shelf space. Andrea Branzi is passionate about the morphology of urban space; he breaks down the accepted codes and vigorously shakes the foundations of the ever-present conventions. Today more than ever, this insatiable troublemaker continues to disrupt the status quo and places humans and nature at the centre of his thinking. 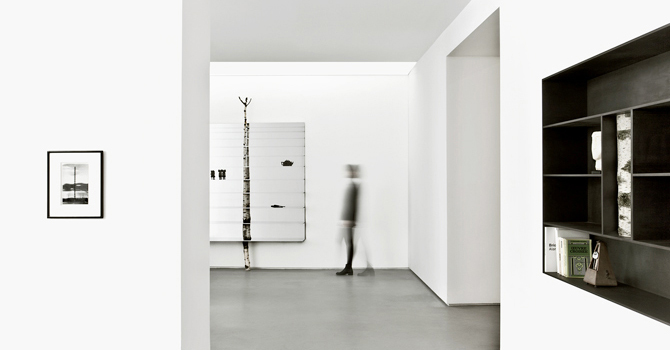 « Trees » represents a continuation of his thinking on architecture. 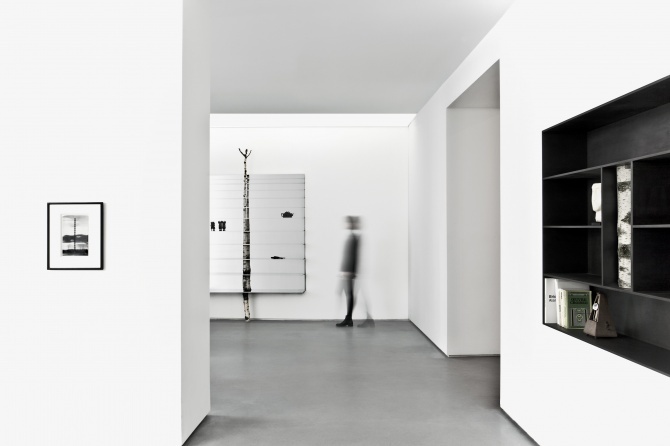 He creates a minimalist space of shelves, veritable pieces of micro-architecture made from aluminium that spread out in neo-plastic bursts like a Mondrian. However, through the splits in the frame, Andrea Branzi introduces trunks and twigs gathered in the wild. This strange encounter that began in the eighties with « Animali domestici », questions the duality of the nature-culture relationship. With « Trees », he adds a dimension, an extra slice of soul, as nature becomes art, a contemporary icon, an emotional window linked to the knowledge of the vital importance of this precious, common heritage. 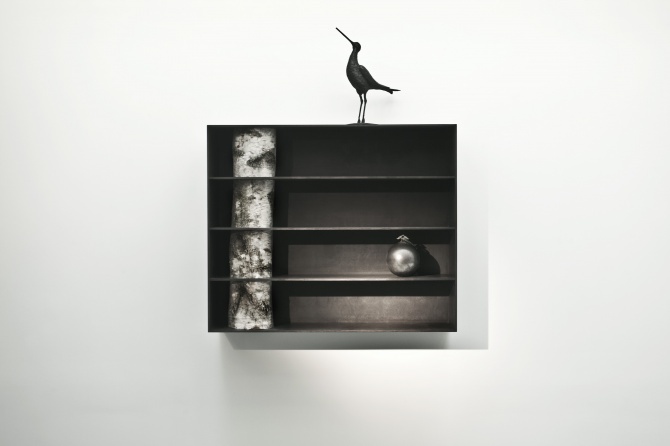 Seven shelves, in different shapes and formats, in aluminium and birch wood. 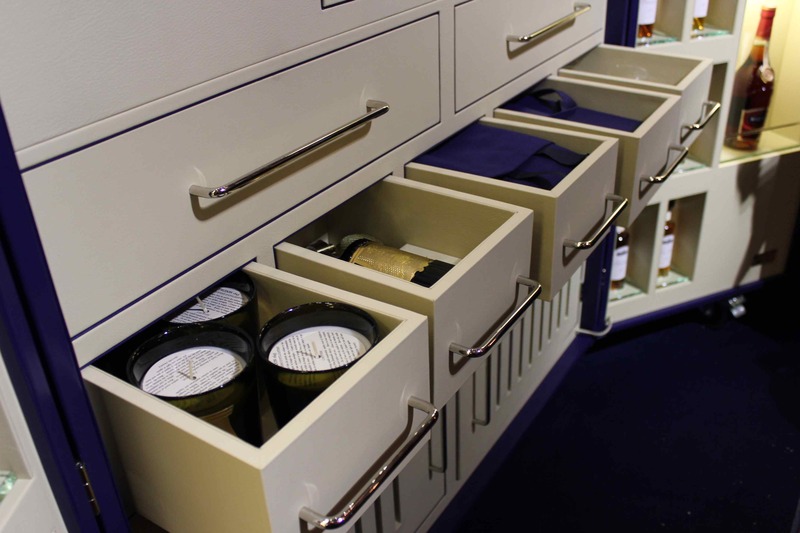 Here’s the luxurious Martell Trunk which we adore. The trunk is actually the ultimate blend-cognac-at-home-cocktail-unit. It’s a precious toy, with lots of specials, for connaisseurs who want to play, to experiment with different eaux-de-vie. And yes, there is an ice machine in this huge blue box. 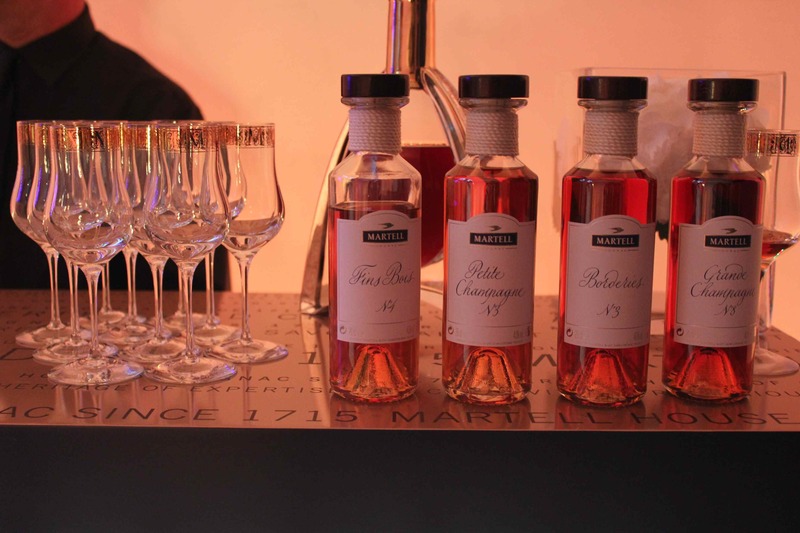 Martell have teamed up with luxury French luxury designer Pinel and Pinel to create a combination of pure opulence. The trunk has revealed compartments and drawers embellished with soft leather and a myriad of fine crystal glasses and carafes. 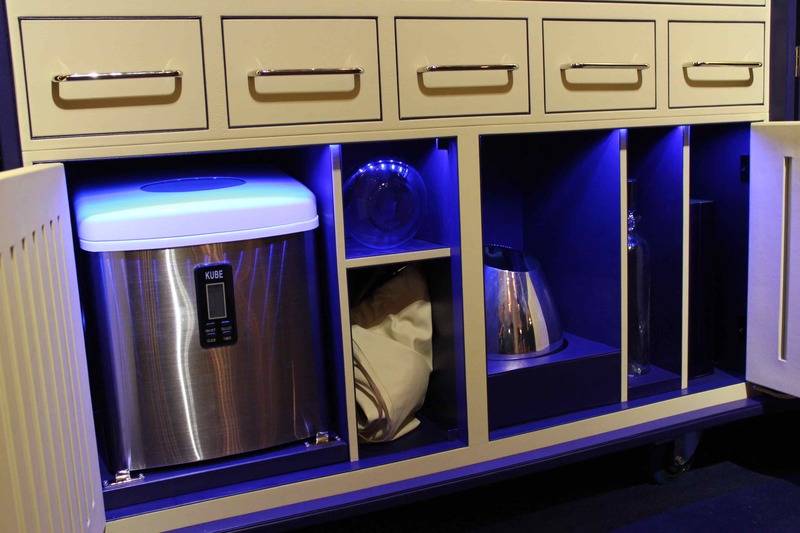 Now, the cool thing about this 150.000 € trunk is, that you can actually blend your own cognac. 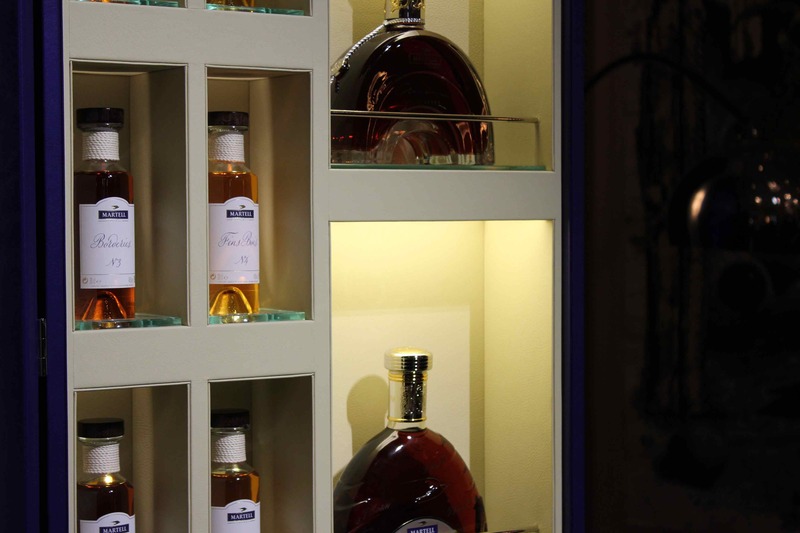 Create your own cognac – that’s the idea. Use the little book, with pre printed tasting notes structure, fill the mix into a bottle.. or make a cocktail. But that perhaps rather with the VSOP. Crush the ice. 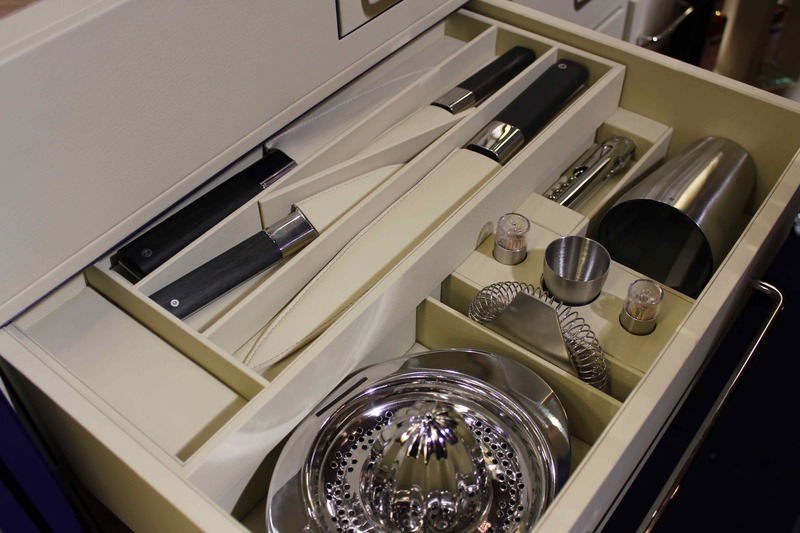 Everything seems to be possible with this upscale luxury set. The trunk icludes the whole range of Martell bottles, and 4 exclusive blends, that you can blend again. Those 4 are single Cru blends from the different growth area of the cognac appellation Fins Bois, Borderies, Grande Champagne and Petite Champagne millesimes, vintages. The Fins Bois is quite remarkable. 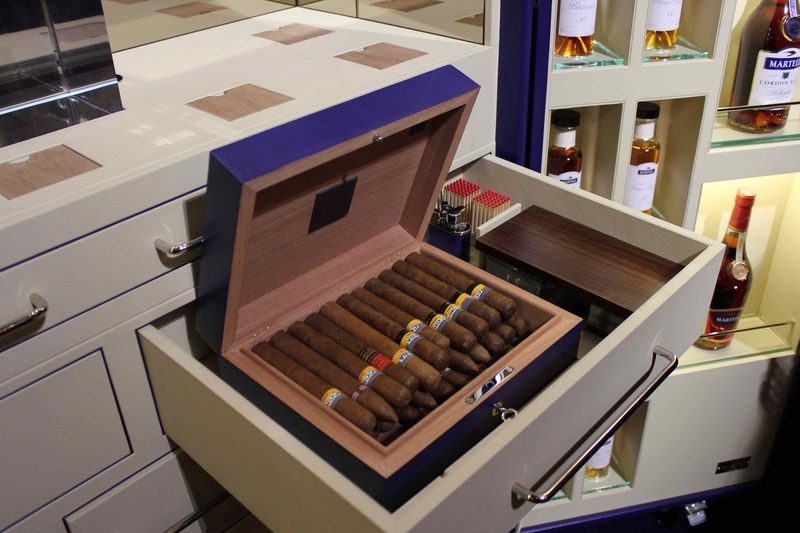 And of course there is one L’Or de Jean Martell bottle, in the center of the trunk, further down you find candles, scents and a humidor – a worthy accompaniment to these prestigious bottles of cognac. Further adding to this trunk of luxury are twenty eight unique and classic wristwatches which bathe in the soft light which caresses the interior. We also find knives, cocktail utilities. It’s basically a cocktail bar. But you can’t call it that way, it’s just too exclusive. Truly a stylish creation of functional luxury. 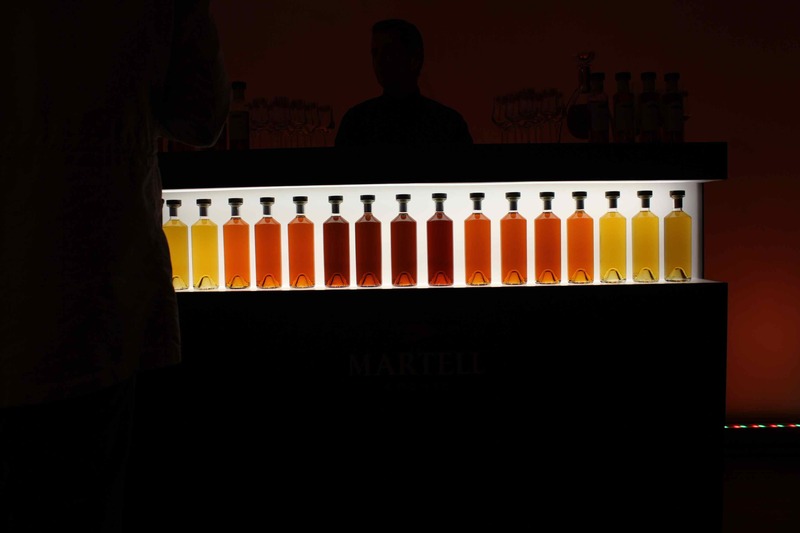 The brand of Martell succeeds in balancing tradition, modern understatement and desire. There is an ice machine, and a crusher, and a bottle where you can fill in your new home made blend. And you will discover many other little details. Everything is well organized. You also find little lamps at the top of the trunk, which enlight the interior. They are shaped in a way that they remind of alambic pot still elements, and are made of copper. 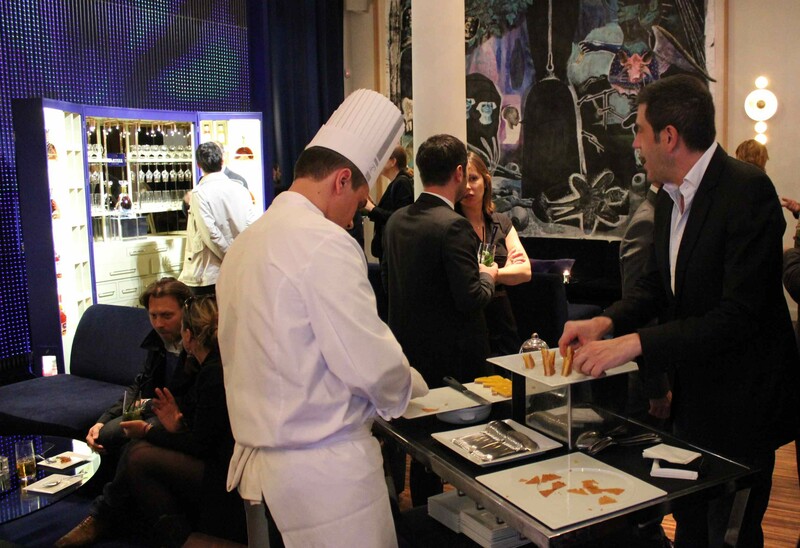 The trunk was launch at a cocktail event, in a villa in Paris. Good athmosphere, food, music, and some cigars added up to a nice evening. Here we see the four exclusive bottles. For explenation: If it says e.g. No.4 on the label, it means there are four different millesimes in this blend. The maitre du chai of Martell told us a bit about those. Those eaux-de-vie were selected from the paradise cellar of Martell. 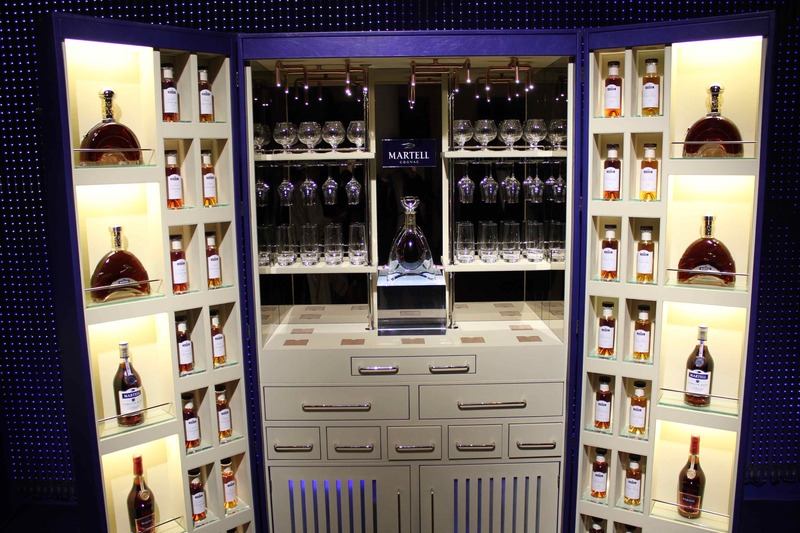 The Martell Trunk or La Malle is a giant of understatement, something to interact with. You so want it in your living room. On the way to Kolymbithres, Paros – one of the island’s most beautiful beaches – right beside the sea and with a view of the Naoussa Bay, lies Saint Andrea Resort. The owners named the hotel after the byzantine monastery of Saint Andrea, which belongs to the family since the 16th century. The hotel complex, with its Cycladicarchitecture and the French finesse, encompasses the luxury of another era and combines the modern trends of today with the aristocratic traditions of yesterday. Saint Andrea Resort is built on the north side of the island, just 1,5 km from the cosmopolitan town of Naousa, with a view of the white rocks of the region, sculpted by nature herself. It consists of 56 rooms and suites, is superbly structured, and offerstop-quality services. Our knowledge and experience, the great architecture, the delicate and refined taste, the idyllic location, the luxury, our will to deliver impeccable results, our love of hospitality, and the Aegean’s deep blue palette can guarantee you anunforgettable summer.